When it comes to the Welterweight division there is little doubt that the two main marquee attractions are Floyd Mayweather and Manny Pacquiao. Both Mayweather and Pacquiao have been at the top of most pound for pound debates for several years, but more importantly when it comes to the Welterweight and even the Jr. Middleweight divisions both are the big money draws that all opponents vie for an opportunity to fight. Former world champions Amir Khan and Luis Collazo are no exception. Khan the former unified world Jr. Welterweight champion, who reigned over the division for three years between 2009 and 2012 has become one of the sport’s rising stars. Khan however, has had to deal with adversity that some might argue has derailed his standing among the sport’s pound for pound debates. Khan, despite suffering some setbacks has shown the ability to persevere. Some will remember Khan suffering a first round knockout loss at the hands of Breidis Prescott in September 2008 in fifty-four seconds. Under circumstances where most would be discouraged and some fighters have found it difficult to bounce back, Khan persevered going on to win the WBA world title in the Jr. Welterweight division by scoring a twelve round unanimous decision over Andreas Kotelnik in 2009. Khan went on to successfully defend and partially unify his title with the IBF Jr. Welterweight world title five times before having to deal with further adversity in back-to-back fights with Lamont Peterson and Danny Garcia. Khan would lose the IBF portion of his title to Peterson in December 2011 in what was a closely fought battle, but was reinstated as WBA champion after Peterson failed a post-fight drug test as he tested positive for a banned substance. Khan would then face undefeated WBC champion Danny Garcia in July 2012. In that fight Khan suffered knockdowns in the third and fourth rounds before the fight was stopped in round four. After suffering two setbacks, Khan would again show the ability to bounce back returning to the ring later that year to stop Jr. Welterweight contender Carlos Molina in ten rounds. In his last fight Khan survived being knocked down in the fourth round to win a hard-fought twelve round unanimous decision over former Lightweight world champion Julio Diaz. Although Khan’s rise up the sport’s mythical pound for pound ratings may have been derailed by suffering those setbacks, he is still a star of the sport and should be considered a threat to anyone in the Welterweight division. As much as Khan’s ability to overcome adversity has become a key component throughout his career, the same holds true for former Welterweight world champion Luis Collazo. As this observer has said in the past Collazo might be more known as a fighter who has had decisions go against him in notable fights throughout his career, despite the fact that he is a former world champion. Despite losing to Ricky Hatton, Andre Berto, and Shane Mosley on the marquee stage of the sport over the course of his career, Collazo has persevered. After suffering a loss to Freddy Hernandez in 2011, Collazo went on to win three straight fights leading up to his encounter with former Welterweight world champion Victor Ortiz in January of this year. Collazo brought the fight to a sudden and dramatic conclusion when a perfectly timed counter right hook dropped Ortiz late in the second round. A sudden and perhaps unexpected knockout win that has reestablished Collazo in the Welterweight division. As I said in covering that fight in January if there was something to take away from that fight that may be inspiring is that perseverance can indeed pay off. Both Amir Khan and Luis Collazo are examples of that. In addition to being former world champions both Khan and Collazo share something else in common, the desire to not only reach the top of the mountain once again by becoming world champions, but also the desire in wanting a fight against Floyd Mayweather. 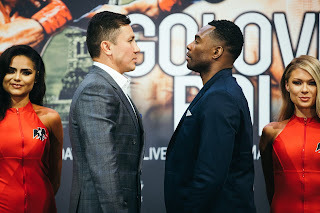 For a time it appeared as though Khan would get the opportunity to face Mayweather so much so that he pulled out of a scheduled fight against former two-division world champion Devon Alexander. The potential of a fight between Mayweather and Khan seemed to be somewhat enhanced by an online poll conducted by Mayweather that saw Khan receive more votes than the recently crowned WBA Welterweight world champion and former Khan opponent Marcos Maidana, who Mayweather eventually decided to fight on May 3rd in Las Vegas. Khan however, may have received the next best opportunity as it was announced earlier this week that he will face Collazo on the Mayweather-Maidana undercard. Although some may feel that Amir Khan was pushed aside by Mayweather opting to face Maidana instead of him, in all truth and honesty Mayweather choosing to face Maidana was the most logical option for Mayweather at this stage of his career. Maidana after all did score a dominant victory over Adrien Broner, Mayweather’s friend who has been called Mayweather’s protege by some in December of last year to win the WBA title. It was only natural to assume after that fight last December that there would be significant demand for Mayweather to face Maidana with the intriguing storyline of whether Maidana could duplicate his performance by defeating Mayweather with the undefeated Mayweather looking to avenge his friend’s defeat. Mayweather’s choice however, by choosing to fight Maidana now opens the door for another intriguing storyline as both Khan and Collazo have vocally expressed their desire to face him. The fact that now Khan and Collazo will face each other as the co-main event on the Mayweather-Maidana card presents a perfect opportunity for both fighters to make their case to face the winner of that fight. This would seem logical seeing as Collazo is currently ranked third in the world in the World Boxing Association’s (WBA) rankings and Khan being ranked number two by the World Boxing Council (WBC). When you also take into the equation that the three fighters who are currently ranked ahead of Khan and Collazo, Paul Malignaggi and Keith Thurman in the WBA rankings and Luis Carlos Abregu in the WBC rankings all have scheduled fights in the next month. What this amounts to in the often political and often confusing landscape of the sport and it’s rankings is an elimination bout between Khan and Collazo to see who will be in line to face the Mayweather-Maidana winner. Although I am very much looking forward to providing further analysis about this fight as May 3rd draws closer, an argument should be made that no matter who should emerge victorious between Khan and Collazo, both are likely to be in good position for potential big money fights in the Welterweight division in the long-term picture. A testament for two fighters who have made careers out of their ability to overcome adversity and persevere.